THE AMAZING CAMP WAR EAGLE MEDICAL STAFF IS AN INTEGRAL PART OF EACH SESSION. 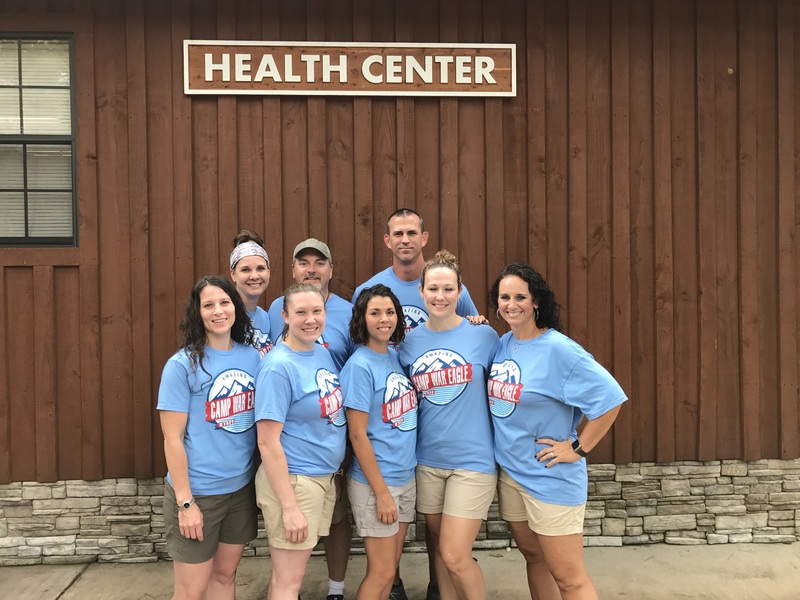 TEAMS OF PHYSICIANS, REGISTERED NURSES AND PARAMEDICS SERVE IN OUR ON-SITE HEALTH CENTER DURING THE SUMMER TO PROVIDE OUR CAMPERS AND STAFF WITH ONSITE MEDICAL ATTENTION AS NEEDED. FROM DISTRIBUTING MEDICATIONS TO ADMINISTERING FIRST AID, OUR ONSITE MEDICAL TEAM IS RESPONSIBLE FOR ENSURING THE HEALTH OF CAMPERS AND STAFF. THIS IS AN OPPORTUNITY TO TOUCH THE LIVES OF THE CHILDREN OF NORTHWEST ARKANSAS! IN EXCHANGE FOR SERVICE, MEDICAL STAFF MEMBERS ENJOY COMFORTABLE LODGING, MEALS IN THE CHOW HALL, AND OPPORTUNITIES TO PARTICIPATE IN CAMP ACTIVITIES. Identification, treatment and documentation of routine health needs in a triage setting. Implementation of health care plan per the physician's direction.